To say this season has been difficult would be a vast understatement. After adopting our little L in October 2017, we opened our home back up for more foster kids, planning to do straight adopt. The straight-adopt program places kids whose parents’ rights have already been terminated. Big picture: they don’t leave. 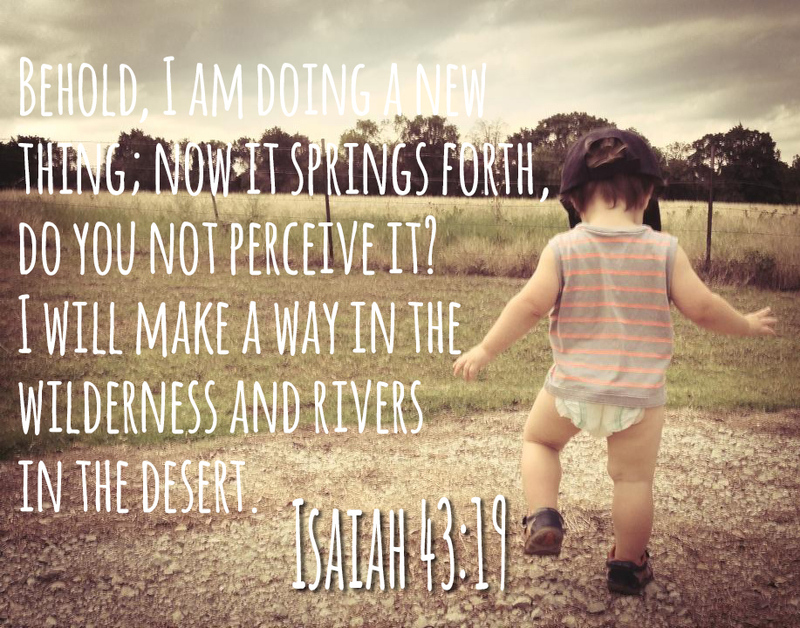 When we started our foster care journey in 2015, we knew the kids coming into our home might someday return to theirs. Still, we stepped forward. And some kids did leave–home to moms and dads who worked tirelessly to get them back. And we celebrated for and with them. This time would be different. In November, we put ourselves on the straight-adopt list, believing God had more kids for us. It’s so weird to try and grow your family this way, knowing hardly anything about a child before permanently bringing them to your home. As I hung up the phone, I thought, Oh my. It’s two weeks before I take the LSAT, and we’re bringing home a one-month-old foster child. Baby L was on his way. Two years ago today, Jay and I lost our second baby at 10 weeks. We were blindsided by the pregnancy and even more so blindsided by the miscarriage. We had called him or her “Starfish” due to an obsession with a quote from our favorite T.V. show. Sometimes I laugh now, thinking we might’ve picked something a little less silly had we known this would be the only name we’d ever know for this child. While most days I have much to say about grief, loss, miscarriage, and infertility, today, I don’t. I don’t have many words of wisdom or encouragement. Today I just remember…and ask you to as well. Remember to pray for us today, not so you will feel sorry for us, but so you can help bear the (heavy) burden of mourning we carry today. Around 90% of the time, I’m humming one of the main songs from the soundtrack because those songs play all. day. long. Y’all. This has quite possibly been the longest week of my life. Last week, our family doubled in size overnight as 3 sweet foster babies entered our lives. 4. KIDS. Total. Count on your hand…one, two, three, FOUR. I’m not going to lie to you. This week has been hard. Not like, oh, my child won’t eat his peas hard. But like, oh my (now) oldest flipped out because she didn’t have a balloon and my middle boy refused to nap and my (now) youngest is clinging to me like a June Bug, and oh yeah, by the way WHERE THE HECK IS MY BIOLOGICAL CHILD AND WHY IS EVERYTHING STICKY??! Seriously, there aren’t enough wipes. The first 24 hours were pure survival. Do you ever watch those shows? Where the people are dropped off in the wilderness with nothing but a sharp stick and a loin cloth? They end up naked, afraid, malnourished, hiding under some sort of “shelter” they fashioned from leaves and animal skins? Yep. That was us. At one point, Jay and I locked eyes across the room. Naked children were flying about. The littlest one was soaked in some sort of sauce. Benji was afraid. And we both saw the same question in the other’s eyes: WHAT. HAVE. WE. DONE. So we prayed. We asked others to pray. Lord, this was YOUR idea. YOU have to come through. YOU have to give wisdom, and strength, and wipees. And chocolate. And He did–even the chocolate. Sweet friends brought food, and wisdom, and encouragement. One brought a meal by yesterday (as part of an AWESOME meal train set up by church members). She came in, looking beautiful as always. Not sticky–I was jealous. She asked how things were going and I mumbled something about taking up drinking about it being okay. When in reality, my eyes must’ve looked something like that of a hostage who can’t speak, for fear her attacker is listening. It’s not that they’re bad kids, it’s that there are so many of them…like a tiny herd. Right now, we take things hour by hour. If the kids are mostly clothed, not fighting, eating decently well…it’s a successful hour, and we try again the next time. Sometimes there are tears, both from kids and adults. We’re all adjusting, all making changes and sacrificing things. Like showers. Or makeup. My biological son is LOVING this. I mean, really loving it. He and the 4 year old boy are having a blast–playing together, sword fighting, getting into trouble. The whole deal. It’s the sweetest. The kids are doing well at school, and sleeping/napping well. They told me they love it here. They are learning how to say polite things, how to pray before meals, how to apologize to each other. We have had more closet hugs, cookie binges, tears after bedtime than ever before. But each day, we realize the calling is great. Hard, but great. These kids need a safe place, and we can provide that for them. Sure, we’ll smell like three-day-old milk and no one will want to sit by us in church, but these kids will know they’re loved by us. So as you read this, pray for these littles. They are strong, able to endure much more than I can. They are uprooted from family, forced to change schools and eat things that are green. Their clothes, toys, cars, foods are unfamiliar. And yet, they get up every morning and strive to make it through their day. Pray we can make that easier each time they wake and that our actions and words will only point them closer to Jesus. 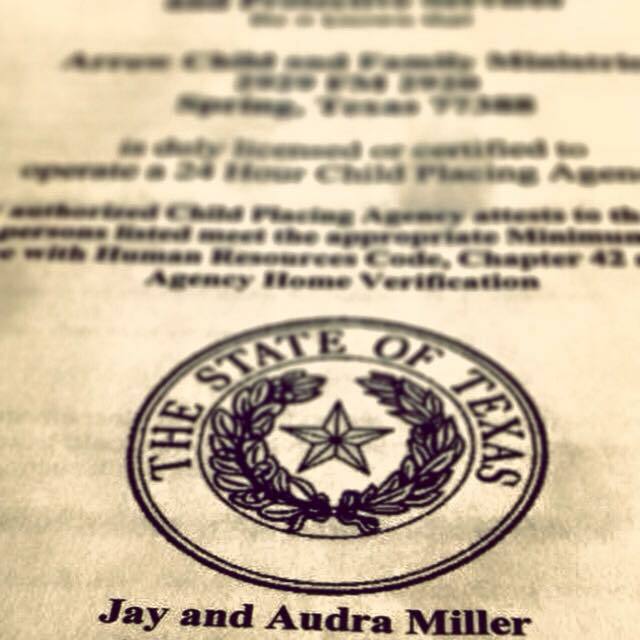 We are now licensed by the great State o’ Texas to receive sweet little children from its care. And it moves, SO FAST, y’all. Like, our foster worker knocked on our door last week, said hi, explained we would be signing licensing paperwork, and then asked us if we wanted to take two kids. For a moment, I felt like shouting THESE ARE NOT GIRL SCOUT COOKIES! What a weird thing to offer someone so quickly! It’s actually not creepy. Y’all, my stellar husband booked a room for me at a local retreat/conference center. I’m sitting on a king-sized bed (freak out! ), typing this, watching Fixer Upper. Don’t lie, you silently just cursed my name in your head. I don’t blame you. Even I’m jealous of me. You know I love the hubs and my sweet baby, but friends…I just ate a whole Chick Fil A cookie (like a freak), and I DIDN’T HAVE TO SHARE ONE BITE. Usually that only happens when I’m eating in my closet.